Enclosures influence the cost, design, and structure of your new shower experience. The three main types of enclosures are frameless, semi-frameless, and framed showers. There are so many options for glass, it's hard to know where to start. 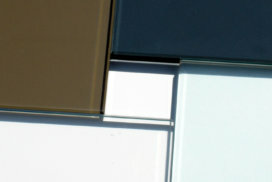 That's where we come in – consider thickness and type of glass. But wait – it doesn't stop there. Space, upkeep, cost, appearance, and compatibility with the enclosure, glass, and hardware are all important factors to keep in mind with your shower's door. Towel bars. Pulls. Hinges. Surface protectants. 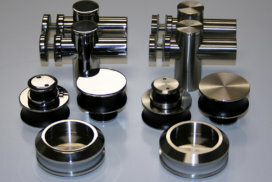 Hardware adds the proper finishing touches, while other accessories impact your experience.